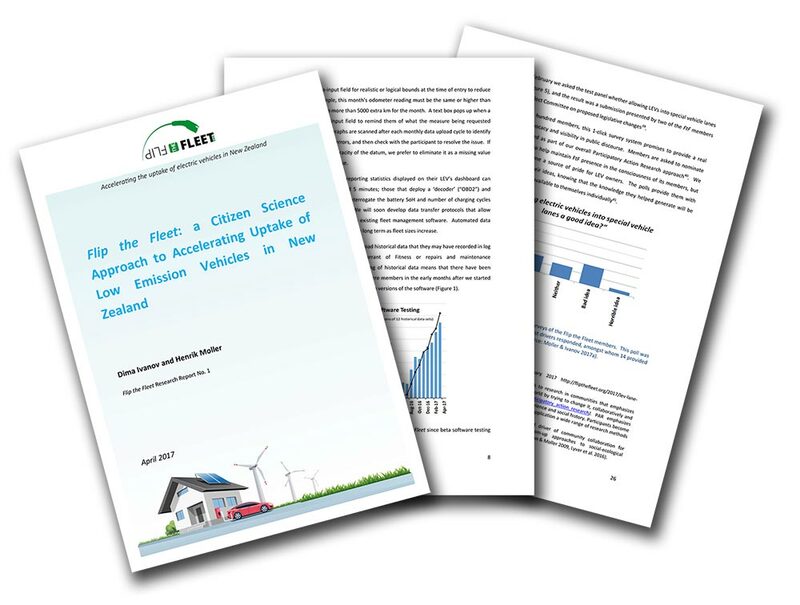 Flip the Fleet: a Citizen Science Approach to Accelerating Uptake of Low Emission Vehicles in New Zealand. 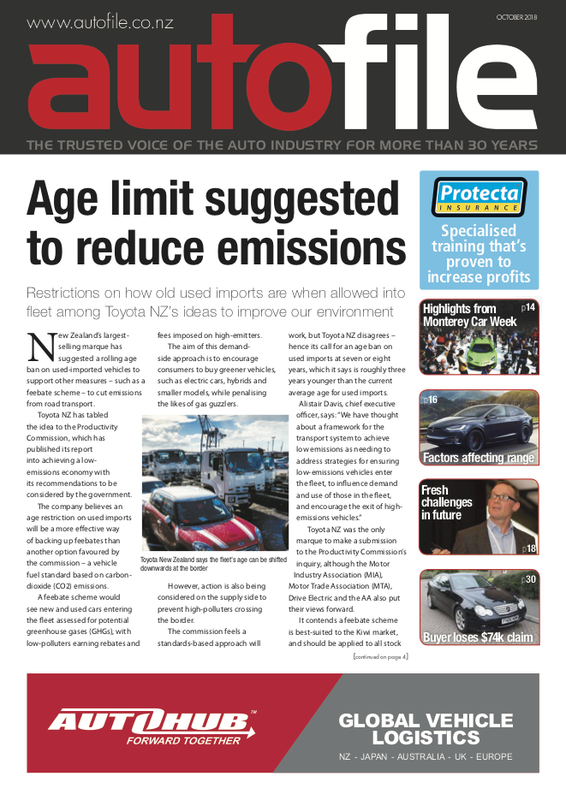 Encouraging uptake of Low Emission Vehicles (LEVs) in New Zealand requires extraordinary efforts to overcome barriers of misconceptions amongst potential purchasers, the absence of strong financial subsidies and regulatory incentives to buy LEVs, and sparse rapid charging infrastructure. The Flip the Fleet project (FtF) takes a ‘citizen science’ approach to better inform the public and businesses of LEV practicality……. How much fossil fuel use is avoided by Low Emission Vehicles? 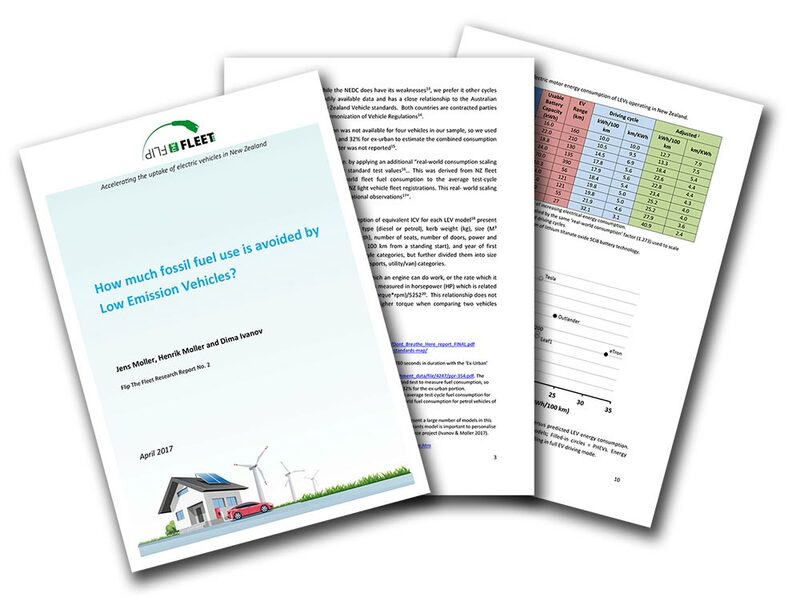 Estimation of the fossil fuel savings by Low Emission Vehicles (LEVs) requires an estimate of the fuel consumption of ‘equivalent’ internal combustion engine vehicles (ICVs) that have been displaced. 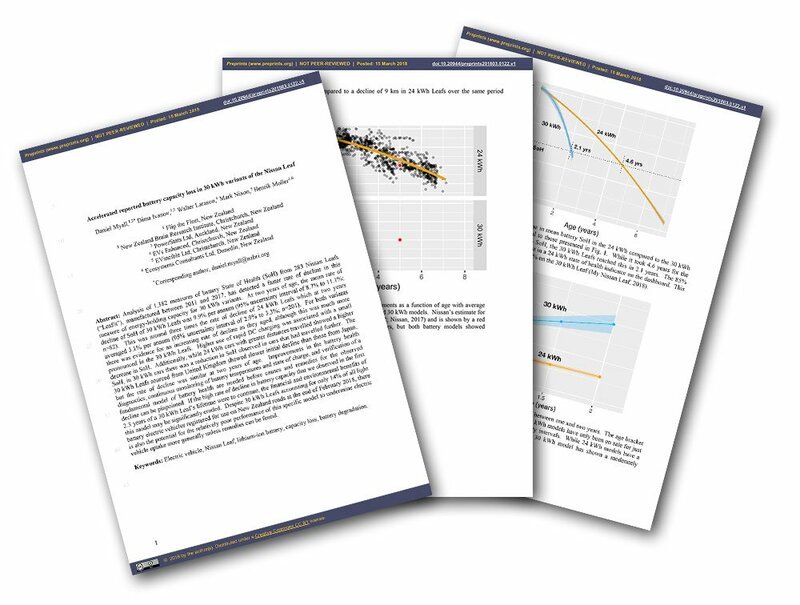 Therefore we first constructed a statistical model of standardised vehicle test ‘driving cycle’ measures of fuel consumption of 90 conventional (ICVs) for ‘urban’, ‘ex-urban’ and ‘combined’ driving conditions in New Zealand. The model ……. Rapid chargers are now installed at many strategic positions to enable long-distance travel through much of New Zealand, even by short-range Battery Electric Vehicles (BEVs). However, our survey of 108 BEV owners found that they are required to wait an average of 10 minutes for their turn to charge in around 14% of visits to a rapid charger station. The chargers are not functioning on around 4% of the visits and blocked by an internal combustion vehicle on 2% of visits….. 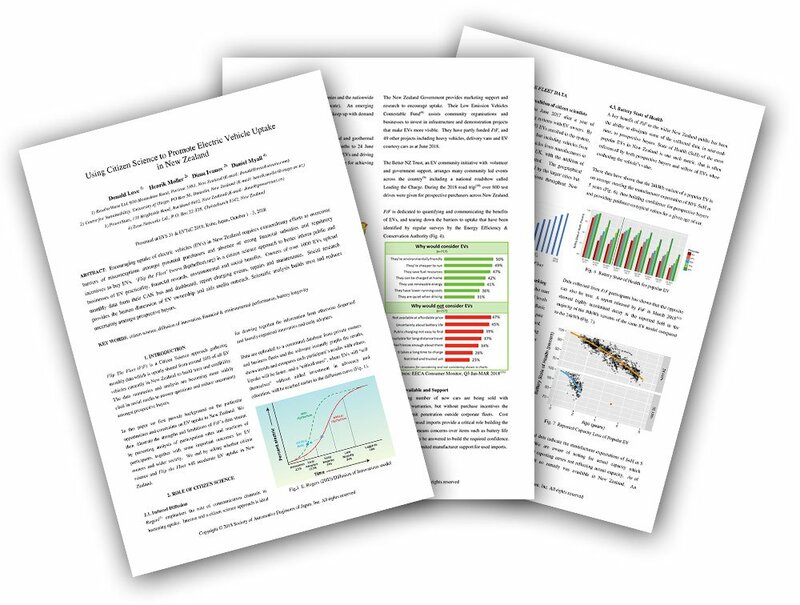 In March 2018, Flip the Fleet (FTF) published a paper on the reported battery degradation of the 30 kWh Leaf. 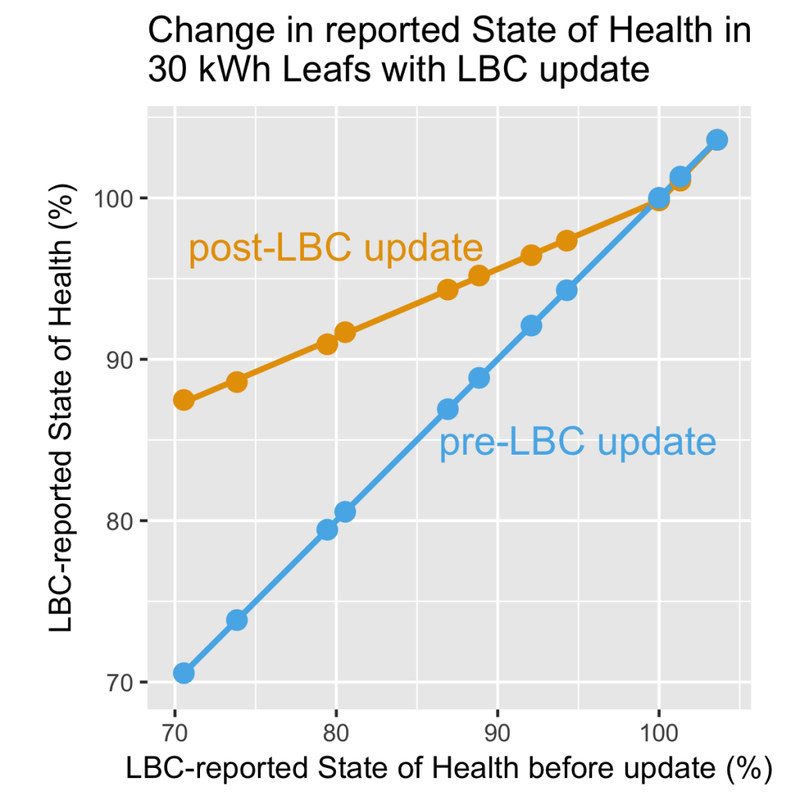 Since this report, Walter Larason of EVs Enhanced has carried out nine energy holding capacity tests on a dynamometer which showed that most of them held more energy in their battery pack than was reported by the car’s Lithium Battery Controller (LBC)…. 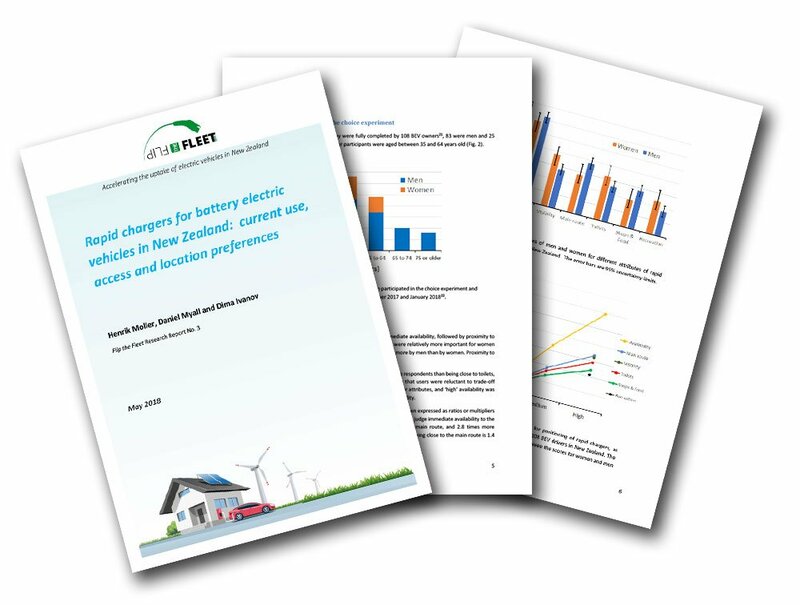 Encouraging uptake of electric vehicles (EVs) in New Zealand requires extraordinary efforts to overcome barriers of misconceptions amongst potential purchasers and absence of strong financial subsidies and regulatory incentives to buy EVs. ‘Flip the Fleet’ (www.flipthefleet.org) is a citizen science approach to better inform public and businesses of EV practicality, financial rewards, environmental and social benefits. Owners of over 1000 EVs upload monthly data from their CAN bus and dashboard, report charging events, repairs and maintenance. Social research provides the human dimension of EV ownership and aids media outreach. Scientific analysis builds trust and reduces uncertainty amongst prospective buyers. December 2018: Get punters behind the wheel (p.16). November 2018: Motorists drive into glee club (p.16). October 2018: Going the distance with range (p. 16). September 2018: Range Anxiety – is it a reality? (p 20). August 2018: Electric vehicles going forward (p 20). February 2019: Uniting as motorheads (p. 24). 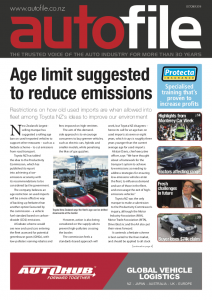 September 2018: Why they buy – reasons current vehicle owners go electric (p. 18). 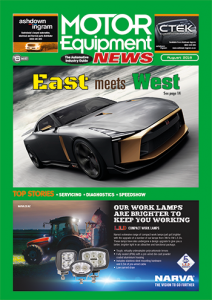 September 2018: Are electric vehicles all they are cracked up to be? (p. 18). July 2018: What’s going wrong with EVs, and why. (p. 18).